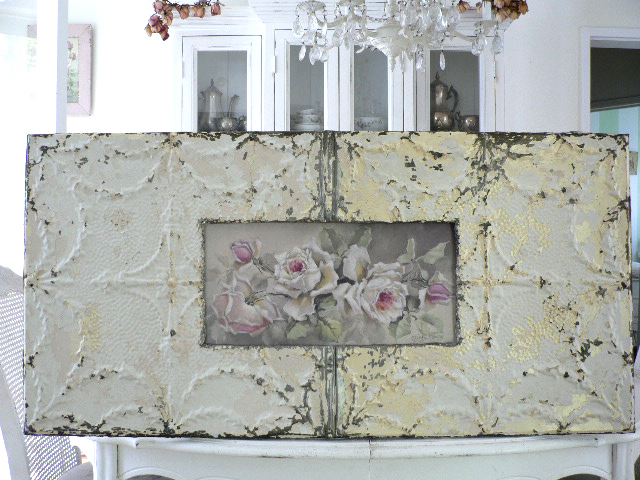 We offer custom made to order Antique Ceiling Tin frames for any Christie Repasy canvas print, or to your specifications. 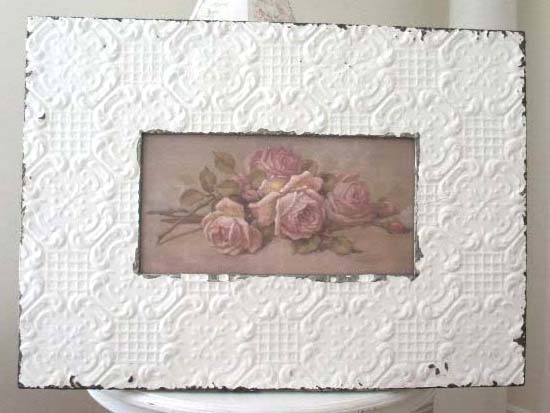 These frames do not have glass as they are typically made for Canvas prints. If you do not see a size that you need, please e-mail us for a quote. The ceiling tin frames shown are only examples of some of our work. Due to the age of the tin, each pattern will vary in distress, and style. No portion of this website may be copied, reproduced or used without permission of webmaster.